Have you ever tried and detox and fallen off the wagon after a few days or a week? Why? Because a twist in yoga is like getting all your insides and wringing them out like a cloth. The liver especially needs support through a detox, to help eliminate the toxins from the body, so this wringing action does the job. There are a number of twists you could try, here are 3 so choose one for your energy levels on the day. There are different types of twist so below we have a standing twist, a seated twist and a reclining twist. When detoxing, you are not only detoxing your body, but your mind as well. You will go through a few ups and downs emotionally until you start to stabilise when the toxins are released from the cells. A backbend opens up the heart and the chest, it opens up your heart centre and your throat chakra, both important to help with communication and letting go, which is also needed on a detox to get rid of emotions that aren’t serving you anymore. Bow pose, as seen here, also massages out the internal organs. When you start a detox, your energy levels will plummet before they improve, so although it is great to sweat out the toxins, this may be better in a sauna or steam room, and allow yourself some down time on a detox, with restorative yoga. Be kind to yourself, don’t punish yourself with that 1.5 hr hot power yoga class! This photo isn’t a supported cobblers pose, but to support it, place a bolster at the base of your spine, and then lie back on it and allow your arms to open to the sides of the body. Place a pillow under each knee, so that there is no strain. If you have energy and are not on your menstruation cycle then it’s great to hang out in headstand. It is a relaxing asana that calms the nerves and lessens anxiety, helps to improve digestion and relieves fatigue which you could feel on a detox. If you have less energy or struggle in headstand then simply find wall and rest your legs up the wall, this is just as beneficial and a restorative asana. 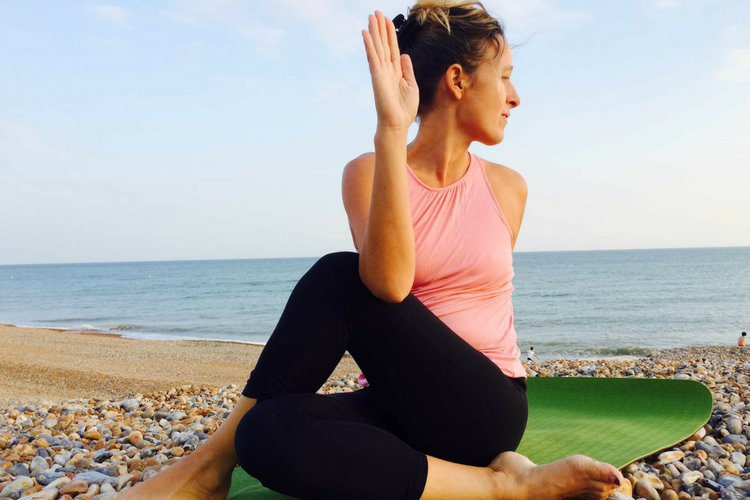 These asanas are great for going inwards, curling up into yourself helps to connect more to what’s going on. Forward bend is great for this. Stay here for 5 minutes and just close your eyes and breathe. To help with the detox here also, you can make your hands into fists, place them just under the rib cage onto the belly area and when you lean forwards you may be able to rest your abdomen on your fists which will help massage the internal organs too. Not only yoga asana is helpful but also meditation and pranayama to help shift mental stagnation. 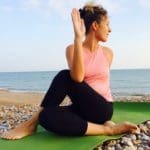 Read our blog on pranayama techniques and try and do at least 10 minutes in the morning, and your will feel the difference from breathing alone!